Officially Licensed Magnetic Dartboard. Made of durable magnetic Neoprene material. The sublimated Dartboard has bright, vivid, and eye popping graphics. Designed to provide fun and safety with magnetic tip darts. 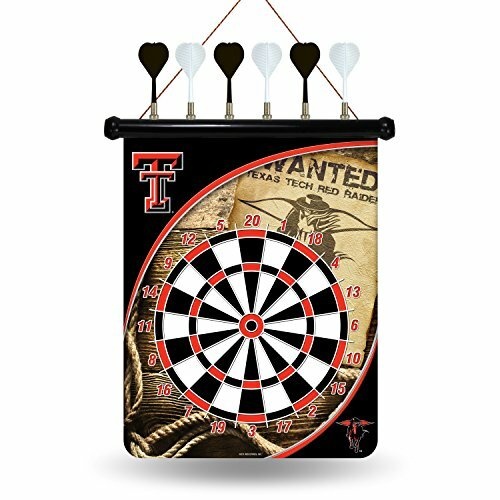 This classic game includes a sturdy hanging cord, one magnetic team dartboard, and six magnetic darts - three black and three white. Made in China.